First class of 2017: Saturday 7th January: 9.30am, Brighton. Brighton Kettlebelles (Women’s only) Click HERE. First class of 2017: Monday 9th January: 9.15am, City Coast, Portslade. To all our members past and present, we wish you a very Merry Christmas and Happy New Year! Christian, Jolanda, Yasmin & Sue. NEW to Brighton Kettlebells… Join online now using our easy online sign up form, there are no contracts, no joining fees, and no hassle! This is an ideal way to set yourself up for a fit and healthy 2017! *OFFER APPLIES TO NEW MEMBERS ONLY AND FOLLOWING THE INITIAL FIRST MONTH FREE, REQUIRES A MINIMUM PAYMENT OF 1 MONTHS MEMBERSHIP VIA DIRECT DEBIT. New classes for Women Only! Venue: City Coast Church, North Street, Portslade, BN41 1DG. In response for demand from busy mums and women, we now have this exciting new brand and classes starting this week! The response so far has been great! So come on down to try it out! Ideal for those who cannot train in the evening, this will be a great way to kick-start your day! The classes will be run by Sue Chandler, a busy mum herself, with exercises concentrating on the needs of a woman’s physique and fitness goals. Current members can attend these classes as part of their membership. Please contact me HERE to book your spot. If you’re not currently a member, please head to our sign up page: SIGN UP. 1. No class on this Tuesday/ Thursday class in Portslade. 2. New class on Mondays week after! St Phillips Church is having a makeover this coming week so we’re cancelling the class on Tuesday. This is a great venue with free parking, just off Boundary Road, opposite Underground Gym. So good in fact that we’ll be doing our new Women’s Only classes there! More on that next week! We hope to see you down on Thursday! For you girls: this is a good opportunity to check out the location for our new morning Brighton Kettlebelles classes starting 24th October! 2. New Classes on Mondays in Hove! In response to popular demand, we’re moving our classes on Tuesdays to Mondays at the earlier time of 7pm! This will take effect from Monday 24th October and run by coach Jolanda. The earlier time of 7pm will suit most people, allowing them to go home and chill or eat after training, especially now the nights are drawing in! Rejoin today with a £10 discount in the first month! This gives you Unlimited classes for just £28, or single class a week for just £18! Price reverts to normal price of £38 or £28 after first month. Best thing is, you can cancel at any time! Exciting new additions to our Kettlebell Fitness classes! BATTLING ROPES- WHOLE BODY CARDIO! We have an exciting addition to our Kettlebell Fitness classes. Battling ropes give an unusual and fun workout for the whole body, with every muscle being used to create waves along the long ropes. We now have the ropes at our Varndean School, Brighton classes, with ropes on their way to St Phillips Church, Hove too! Come give them a try! These are supplemented by our new Slam balls, which is a favourite of coach Jolanda! Bored of your workouts at the gym? Come give these new toys a try! REJOIN BRIGHTON KETTLEBELLS FOR £18 TODAY! Blast from the past! 5 years ago on Hove lawns! We’ve just taken a huge delivery of new Kettlebells for you to buy direct from us! 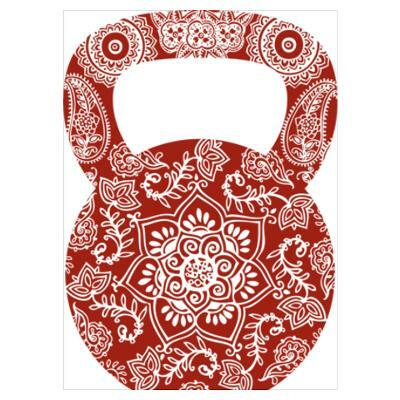 Buy good quality, professional grade Kettlebells to use at home, garden or park! Each Kettlebell sold comes with a programme to do yourself.